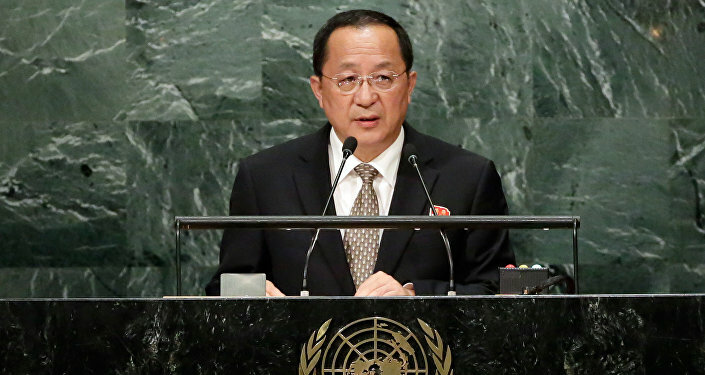 Speaking at the UN General Assembly on Friday, North Korea's foreign minister Ri Yong Ho said the move "can even ignite the outbreak of a nuclear war." He added that the sanctions have also failed to force Pyongyang to abandon its nuclear program. “Perhaps we shouldn’t have imposed those sanctions, maybe we should have sanctions against military exports to North Korea, but not economic ones. Perhaps we should have engaged with North Korea by using a different kind of argument,” Bluth noted. “But the problem is that [the sanctions] are driving Pyongyang more and more into the arms of China, make it more isolated and, therefore, reduce the impact other countries may have on North Korea,” Christoph Bluth emphasized. Speaking about the chances of North Korea being expelled from the United Nations, Christoph Bluth said that it was something South Korea wanted, but China would hardly let it happen. When asked if China would be ready to use any pressure against Pyongyang now that the US was going to deploy its THAAD antimissile defense system in South Korea, Bluth said that because of the rising tensions in the South China Sea Beijing has been less cooperative on North Korea than in the past. He added that the military deployments and tests are largely symbolic as nobody can afford to start a war against the United States and the US has abandoned the idea of striking North Korea because of the estimates of civilian casualties North Korea could inflict on the South. “So I don’t think there is a real risk of a military confrontation because despite all these large military concentrations in the region, no one is really going to start a war,” Christoph Bluth said in conclusion.